the glamping bell tent our retreat team invite you to the authentic experience. 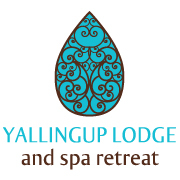 Yallingup Lodge Spa Retreat is a secluded hideaway enveloped in national park though only 5 minutes’ drive from both Yallingup and Dunsborough. Seven acres of natural beauty is the home to our lodge amongst the treetops. A place of love, relaxation, exploration and rejuvenation. Let us take you on a journey customised to you. With five spa suites and the glamping bell tent our retreat team invite you to the authentic experience.We encourage you to unwind…Our 5 spa suite offerings, each with private rainwater spa. The retreat is designed to retain the original charm within its natural surrounds on 7 acres of untouched bushland. Inside you will find a space created with a modern, luxe feel.Peer out from your cosy tee pee style glamping tent onto stunning sunrise and sunset views, as kangaroos wander through open fields, sunlight spills onto open space and kookaburras call through the surrounding pine forest. Our glamping tent, is pet friendly but unfortunately no children or shoes allowed inside. The retreat guests lounge invites you to sit by our open stone fire at the lodge at your leisure, flick through our vinyl collection or do some therapeutic colouring.If you would like to start your day the right way, we offer a la carte breakfast option each morning of your stay and of course coffee to get you out of bed. We understand this may be hard with all the luxxe linens surrounding you, but we will still have the beans roasted and ready when you are.The Om Day Spa embraces the ancient healing traditions of Ayurveda. A truly customised experience truly balancing you inside and out. The spa features hand carved limestone walls making the couples treatment room a stone and fire cave experience. Complete with rainwater steam room, chromo therapy bath and couples vichy room the spa provides a large variety of treatments. Private yoga, meditation and personal training is available to add to your retreat. From Margaret River, drive north on Caves Road to the intersection at Yallingup, turn right and Yallingup Lodge is approximately five kilometres along Caves Road, turn left into Hemsley Road. From here it is a simple right hand turn and you have arrived.From Busselton, travel west along Caves Road, past Dunsborough and Yallingup Lodge is approximately five kilometres west of Dunsborough on Hemsley Road. When quoting credit card details for your reservation you are agreeing to the following conditions:Cancellations A deposit of one nights accommodation is charged to your credit card at the time the booking is made to reserve your suite. Since we have reserved your suite in good faith there is a 14 day cancellation policy. Your card will be debited for the full amount of your stay should you cancel your reservation within 14 days of your scheduled arrival. An administration fee of AUD$50.00 is applicable for any reservation alteration or cancellation prior to the 14-day cancellation policy. The credit card used for the deposit/bond to reserve your suite is also for mini bar accounts.Peak Period Cancellations. There is a NO REFUND POLICY from 10th December to 31st January. General The balance of the reserved accommodation account must be paid on departure if using a credit card. No refunds are available should you terminate your stay prior to your scheduled departure.Other Payment Bookings When payment for reserving a selected suite is made with a personal cheque bank cheque or money order the first nights tariff is required to reserve your suite. This payment must be received 10 days prior to arrivalOffice hours Check in time:	2:00pm to 5:00pm (or by arrangement) Check out time: 11.00amMinimum Booking Requirements New year - 3 night minimum Peak - two night minimum Easter – a minimum of 3 nights Public holiday weekends – a minimum of 3 nights Normal weekend – a minimum of 2 nights Christmas / New Year –15th December to 15th January - a minimum of 2 nights Single night accommodation is available midweek and on weekends only when there is a vacancy.